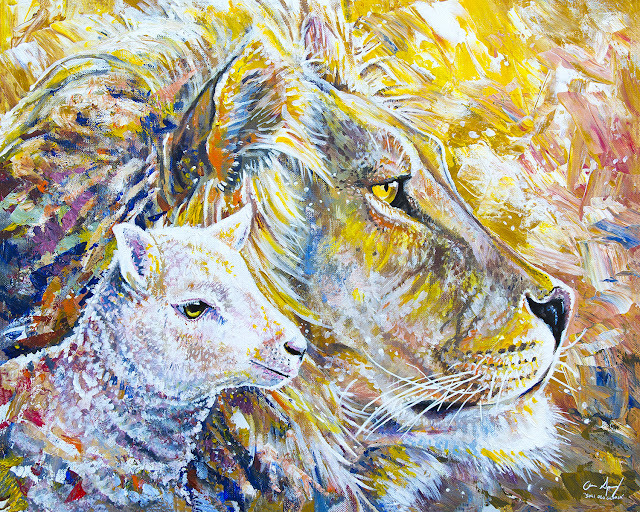 This is my latest acrylic painting called "The Lion and the Lamb". It's a symbolic piece displaying two animal portraits that represent the one man Jesus Christ from the book of Revelation. The Lion stands for the "Lion of the tribe of Judah" who is the dominant king who has been given all authority on Earth and in Heaven. 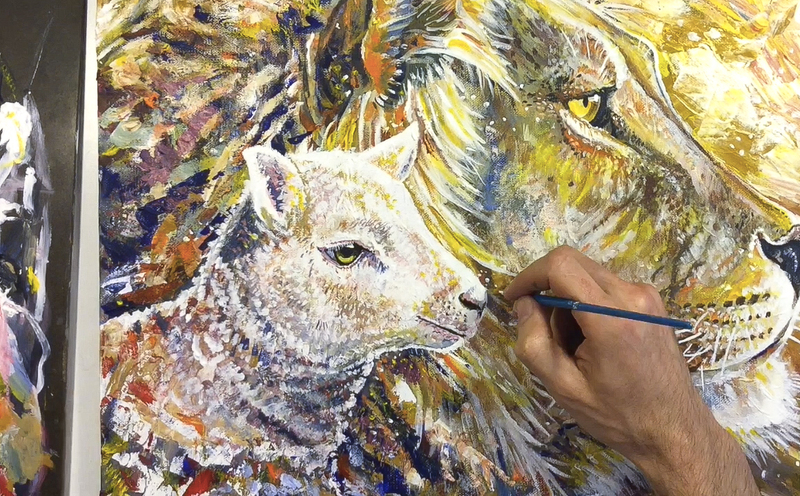 The Lamb stands for the sacrifice of Jesus on the cross to forgive the sins of God's people. The painting is done in a realistic style around the faces which slowly fades to an abstract and expressive style around the edges. Overall, the painting took about 10 hours to complete and was fun and inspiring to work on!